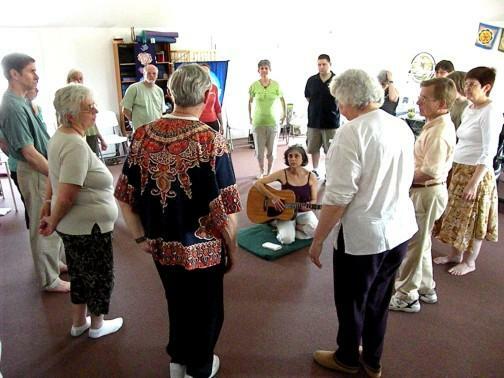 From the beginning of time, sacred movement, song and story have brought people together - at times of seasonal ceremony and celebration, as part of everyday life and life passages, in daily renewal and meditation, etc... 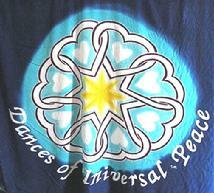 The Dances of Universal Peace are part of this timeless tradition of Sacred Dance. As in these timeless mystic traditions, the Dances use simple music, lyrics, and movements to touch the spiritual essence within ourselves and others. No musical or dance experience of any kind is required and everyone is welcomed to join in. Participation, not presentation, is the focus. No special attire is required, although comfortable, loose-fitting clothing is best. Participants join hands forming a circle with the Dance leader and other musicians in the center. Throughout the evening, the leader teaches the group the words, melody, and movements for the next Dance and often provides some background history about that particular Dance. The teaching is always done from a compassionate heart in a comfortable, quiet, and often sacred setting. The movements and songs drawn from over 400 Dances include themes of peace (both inner and outer), healing (the Earth, individuals, and the global family), and the celebration of life's great mystery. Dancers focus on peace and harmony creating a sense of solidarity and community while celebrating the underlying unity of all the spiritual traditions of the Earth. By experiencing these many traditions, a greater understanding and appreciation of other cultures, as well as one's own heritage, is gained. When Dance lyrics include sacred phrases in their own native languages, special attention is given to insure that all have ample opportunity to pronounce the foreign words comfortably and correctly. Leaders usually make a point to have the group first speak and then sing the unfamiliar words. Most Dances are only four lines long and repeated many times, so learning is usually quick and easy - within ten minutes people are moving, singing, and sharing together. The mood of the Dances is infinitely variable, evoking feelings of love, joy, and compassion. Whether invoking the compassion of the Buddhist Qwan Yin, celebrating the playful energy of Krishna, or experiencing the related emotion of any other spiritual figure, dancers take part in a dynamic relationship between the group, individuals, and the self. The idea that you are different and I am different; your religion is different and my religion is different; your belief is different and my belief is different - that will not unite, that will only divide humanity. Those who with the excuse of their great faith in their own religion, hurt the feeling of another and divide humanity, whose Source and goal is the same, abuse religion, what ever be their faith. The Message, whenever, at whatever period it came to the world, did not come to a certain section of humanity. It did not come to raise only some few people who perhaps accepted the faith, the Message, or a particular organized church. The rain does not fall in a certain land only: the sun does not shine upon a certain country only. All that is from God is for all souls... Blessing is for every soul; for every soul, whatever be their faith or belief. The following page gives the places the Dances have been taken, as well as the dance leaders, who have presented them. To schedule a dance event or to attend any future dance events please contact Carolyn or Tom at 216-651-4362 or ch.tjl99@yahoo.com. In the summer of 1984, Carolyn Horvath attended a week long Creation Spirituality Retreat at Omega Institute in Rinebeck, New York. Matt Fox and his team from the Center for Culture and Creation Spirituality led the retreat. Neil Douglas-Klotz and his wife, Kamae Miller (then Khalida Bol) offered Dances of Universal Peace as morning body prayer. In 1986, Carolyn was accompanied by Tom Leonhardt for another Creation Spirituality Retreat at Omega Institute. 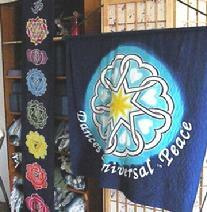 Once again, Neil and Kamae presented Dances of Universal Peace as body prayer. January 1991,we led Dances for gatherings at St. Malachi�s in Cleveland, at Plymouth Church in Cleveland Heights, Christ Episcopal Church in Shaker Heights. In February, at Christ Episcopal Church and Elizabeth Ann Seton Church in Columbia Station. In March at Elizabeth Ann Seton and Christ Episcopal and a New Life Community Retreat. In April at Elizabeth Ann Seton. May at Shreve Presbyterian Church. In July, 1991, Carolyn and Tom attended a week long retreat led by Neil, Kamae, and their friend, Br. Joe Killekevic, OP. The retreat was entitled, Jesus, Desert Mystic. It was held a the Christian Brothers Retreat Center in Plano, Illinois. The focus of this retreat was the Aramaic Lord's Prayer. Following this retreat both Carolyn and Tom were smitten by the Dances and were encouraged by Kamae and Neil who said, "if you want to dance start a Circle." In the years that followed others began leading and undertook the process of being mentored for certification to lead Dances of Universal Peace: Royce Crall, Jessie Feriols, Jonathan Harrison, Kris Kiko-Cozy, Tom Malcolm (now in Yellow Springs, Ohio), Eileen Pappalardo, David Vargo. More recently, Denise Runyon Yellow Springs, Ohio) and Cathy Graf. September and October we led Dance gatherings, don�t remember where. In October of 1991 we traveled to Niagara Falls, Canada, for a weekend Dance gathering. November we led Dances for a New Life Community Retreat. December, the Aramaic Lord�s Prayer at Hope House in Cleveland. In 1992, we began Dances at Hope House. February we Danced with a faculty gathering at Tri-C College. March another New Life Community Retreat. May, a weekend with our own intentional community. In June we traveled to Columbus to join a Dance Circle there. July we joined a gathering in Oak Park, Illinois at the Shem Center, directed by Bro. Joe Kilikevice and again attended the week long Aramaic Jesus Retreat in Plano, Illinois. This year's retreat focused on the Aramaic Beatitudes. It was in August 1992 that Carolyn and Tom began working toward certification to lead Dances with Mary Martha Metzler-Preib as their mentor. This same month we went to a Dance gathering at a Sufi Center in Painesville where Dance leader Jim Meyers was teaching. 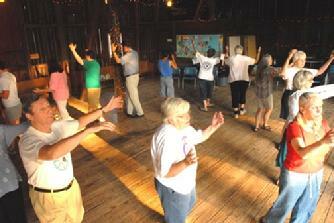 Another New Life Retreat, a gathering of Nurse Healers, and Dances at Hope House in August. September. Hope House, Loyola of the Lakes Jesuit Retreat House in Clinton, Ohio. October Dances were again presented for Nurses and we began Dances at Church on the Green in Hudson. November, two days at Firestone Elementary School in Akron for their Heritage Days and a gathering at St. Paul�s Community Church in Cleveland. December, we danced in Hudson and at Hope House. On New Year�s Eve, we joined the world tradition of Dancing the Sri Ram for Partners. 1993 A Dance Circle continued at the Church on the Green in Hudson once a month. May we danced at St. Pauls�s Community Church in our neighborhood and at the end of the month traveled to High Scope in Michigan for a workshop led by our Mentor, Mary Metzler-Preib. September a regular Circle began to meet at Grace Lutheran Church in Cleveland Heights. December, sponsored a Day of Dance at Christ Episcopal Church in Shaker Heights. Again, we ended the year with the New Year�s Eve Dance of the Sri Ram for Partners. 1994: In January there were Dance Circles at Grace Lutheran Church and at the Church on the Green in Hudson. March we traveled to Milwaukee, Wisconsin and a Dance weekend at Gates of Heaven Synagogue. April we again attended a Dance training with Mary in Clinton, Michigan. June we led Dances at Mt. Augustine in Richfield. July, East Cleveland, and a Dances as worship gathering at St. Paul�s in our neighborhood. August: Federation of Christian Ministries Annual Assembly was keynoted by Bro. Joe Kilekevice at Ohio State University. He led Dances during this event. At the end of the month we journeyed once again to Plano Illinois for another Aramaic Retreat with Saadi, Kamae, and Brother Joe. September: Dances inspired by the Native American Traditions; gathering at the Cleveland L�Arche Community for mentally and physically challenged persons. November: we went to Brecksville�s Library to lead Dances for the Noetic Study Circle gathering, continued the Dances as Worship at St. Paul�s Community Church. Also, during this month David Vargo began a Dance Circle in Kent, Ohio. December, we led Dance for a church program at Westshore Unitarian Universalist Church in Rocky River. 1995 Regular Dance Circles became established at Grace Lutheran Church. January: Cleveland Buddhist Temple, Euclid. We began a somewhat regular gathering for Dances as Worship at St. Paul�s -this month the focus was on Dances inspired by the Islamic Tradition. February: Richfield United Church of Christ. The Dances as Worship took place again at St. Paul�s Community Church. March: Retreat at Cedar Hills Episcopal Retreat House in Painesville. April: High Scope in Clinton, Michigan for a Dance Training with Mary, Hope House. May: Workshop for teen leaders at St. Paul�s Episcopal Church in Cleveland Heights, Grace, Richfiel UCC, Association of Holistic Healers, Meridia Hospital. September: Grace, Hudson, Oberlin, New Life Community Staff Retreat. 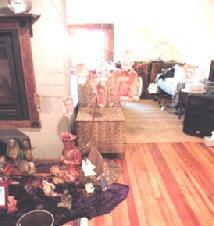 October: Gwinn Estate for Gestalt Institute, Niagara Falls, Canada, Fall Dance Retreat. November: Three occasions, Dances for Association of Holistic Health, Meridia Hospital, Grace, Church on the Green in Hudson. Dances and a video on the Dances at Hope House. December: Two sesions of Dances and video on the Dances at Hope House, Grace, Hudson, Aramaic Lord�s Prayer at Hope House and the Year ending Ram Nam for Partners at Hope House. 1996 January: Dances at Grace, Hudson, Health Hill. February: Grace, Kent (Kris Kiko-Cozy, Leader), Heart to Heart/Akron. Aramaic Lord's Prayer (day), Southwest General Hospital (Middleburg Hts.). May: Grace, High Scope, Clinton, Michigan (Dance Retreat Weekend), Neo health Services, Ursuline Sophia Center, Hudson. June: Grace, Hudson, Crown Point (Bath, Ohio). July: Association of Holistic Healers (AHH - Meridia Hospital), Grace. August: Grace, Hudson, Pax Christi (Baldwin Wallace College, Berea), Plano, Illinois, Aramaic Retreat with Saadi, Kamae, andBr. Joe. September: Grace, Crown Point, Hudson. October: Grace, Sophia Center, Pepper Pike, Aramaic Lord's Prayer Day, Hudson, Beatitudes at Hope House. November: Nigara Falls Retreat, New Life Community Staff Retreat, Crown Point, Hudson, Grace, Beatitudes at Hope House. 1997 During this Year, Carolyn and Tom began working with Mentor, Radha Tereska Buko, thus becoming Apprentice Mentors. January: Grace, Crown Point, Beatitudes at Hope House, Hudson. February: Heart to Heart, Grace, Crown Point, Beatitudes at Hope House, Hudson. April: Grace, Crown Point, Hudson, Crown Point (Lord�s Prayer). May: University of Akron, Crown Point, Grace, Hudson, Unitarian Universalist Church, Akron, Regional Dance Retreat, Monroe, Michigan, IHM Motherhouse. June: Crown Point, Grace, Crown Point-- Lord�s Prayer, Hope House. August: Grace, Vermont Dance Retreat (Bishop Booth, Burlington), Crown Point, Hope House. September: Grace, Crown Point, St. Peter�s, Columbus Dance Circle, Hope House. October: Grace, Forest Hills Presbyterian Church (Cleveland Heights), Crown Point, Hope House, Niagara Falls Retreat. November: Grace, Sophia Center, Crown Point. December: Grace, Dance Day (Christ Episcopal Church), Meeting for area Dance Leaders, Crown Point, Abwoon Study Circle. 1998 January: Grace, Meeting for area Dance Leaders, Abwoon Study Circle (at the Newmans�,Akron). February: Grace, Mt. Augustine (Richfield). March: Grace, Aramaic Lord�s Prayer (Church of the Savior - Cleveland Heights), Mt, Augustine, Grace, Dance Event at Grace, Abwoon Study Circle, Akron. April: Grace, Area Dance Leaders at Hope House, Mt, Augustine, Library (Brecksville), Abwoon Study Circle (Hope House). June: Vermont Retreat, New Life Retreat, Ursuline College, Crown Point, Nature Realm (Akron), Fairlawn (UUChurch), Abwoon Study Circle (Hope House). July: Hudson, Crown Point, Ursuline College (World Religions Class), Fairlawn UU Church. August: Grace, Hudson, Crown Point, Angel House (Strongsville). September: Grace, Crown Point, Fairlawn (UU Church). October: Regional Dance Leaders present Dance Retreat Weekend (Highland�s Presbyterian Camp), Grace, Hope House, Fairlawn UU church. November: Grace, Hudson, Wadsworth, Fairlawn, Oberlin. December: Grace, Ursuline Motherhouse, St. Paul�s, Hudson, Mt. Augustine, Sheffield Lake (our Niece�s Christmas party for children), Fairlawn. 1999 January: Grace, Church of the Redeemer (Cleveland Heights), Fairlawn, Oberlin. February: Grace, Kamae A. Miller, Retreat Weekend� "The Feminine Face of the Divine", Redeemer, Mt. Augustine, Gathering for Vasudeva and friends from Russia at Hope House, Fairlawn. March: Grace, Hudson, Redeemer, Mt. Augustine, Holy Family (Stow), Fairlawn. April: Grace, Mt. Augustine, Redeemer, Oberlin, Jewish Temple (Akron). May: Grace, Hudson, Columbus, Redeemer, Crown Point, Fairlawn, Oberlin. July: Grace, Firestone Park (Akron), Hudson, Crown Point, Redeemer, Fairlawn. September: Grace, Redeemer, Hudson, Crown Point, Columbus, Oberlin, Fairlawn. October: Grace, Redeemer, Aramaic (Hope House), Crown Point, Aramaic (Hope House), Ursuline, Niagara Falls Retreat, Fairlawn, Nature Realm (Akron). November: Saadi presents "Hidden Gospel" at Grace, Redeemer, Vermilion, Hudson, Crown Point. December: Grace, Redeemer, Crown Point, Federated Church (Chagrin Falls), Fairlawn. 2000 January: Grace, Beatitudes at Hope House, Redeemer, Beatitudes at Hope House, Crown Point, Abwoon Study at Hope House. February: Grace, Redeemer, Kent (David Vargo), Crown Point, Abwoon Study at Hope House, Fairlawn. March: Grace, Lord's Prayer at Hope House, Redeemer, Lord's Prayer at Hope House, Crown Point, Lord's Prayer at Hope House, Abwoon Study Circle at Hope House, Weekend Retreat at the Abode. April: Lord's Prayer at Hope House, Grace, Kent (David), Lord's Prayer at Hope House, Redeemer, Fairlawn. May: Grace, Abwoon Study at Hope House, New Life Retreat, Yoga Place (North Canton � Kris Kiko-Cozy), Kent (David), Lord's Prayer at Hope House, Crown Point, Fairlawn. June: Grace, Vermont Retreat, Lord's Prayer at Hope House, Crown Point. July: Abwoon Study at Hope House, Grace, Shadybrook, Redeemer, Kent (David), Aramaic at Hope House, Crown Point, Landmark (Forum). August: Redeemer, Aramaic at Hope House. September: Grace, Redeemer, Abwoon Studay in Richfield, Aramaic at Hope House, Wholistic Center in Ashtabula. October: Redeemer, Beatitudes at Hope House, Crown Point, Cleveland Botanical Gardens, Dance Retreat Weekend at Niagara Falls Canada. November: Grace, Redeemer, Abwoon Retreat in Ashville NC, Abwoon Study at Hope House. December: Grace, Redeemer, Abwoon Study in Richfield, Crown Point, Lord's Prayer at Hope House. Stepping Stone (Parma), Beatitudes at Hope House, Crown Point, Abwoon Study at Hope House, Our Lady of the Pines in Fremont- Weekend Retreat for women of Lakewood Presbyterian Church. February: Hope House, Redeemer, Yoga Place (Kris), Fairlawn, Lord's Prayer at Hope House, Crown Point, Abwoon Study at Hope House. March: Hope House, Lakewood Presbyterian Church 5x, Beatitudes at Hope House, Abwoon Study at Hope House. April: Winds of Change (Medina), Lakewood Presbyterian Church, Hope House, Redeemer, Lord's Prayer at Hope House, Crown Point, Abwoon Study at Hope House. May: Hope House, Winds of Change (Medina), Fairlawn, Redeemer, Yoga Place (Kris), beatitudes at Hope House, Crown Point. June: Hope House, Abwoon Study at Hope House, Winds of Change (Medina), Labyrinth in Akron, Lord's Prayer at Hope house, Crown Point. July: Abwoon Study Richfield, Winds of Change (Medina), Hope House, Beatitudes at Hope House, Crown Point � Paul Taylor. August: Hope House, Winds of Change (Medina), Hope House, Lord's Prayer at Hope House. September: Winds of Change (Medina), Hope House, Benedictions Center in Kenmore -Royse, Hope House, Beatitudes at Hope House, Abwoon Study at Hope House. October: Hope House, Winds of Change (Medina), Lord's Prayer at Hope House, Crown Point, Dances presented at "teach-in" on non-violence, Abwoon Study at Hope House, Weekend Retreat at Niagara Falls Canada. November: Hope House, Winds of Change (Medina), Hope House, Yoga Place � Kris, Beatitudes at Hope House, Crown Point, Abwoon Study at Hope House, Benedictions Center in Kenmore � Royse, Ursuline. December: Hope House, Yoga Place � Kris, Hope House, Lord's Prayer at Hope House, Crown Point. 2002 January: First Church Akron � Labyrinth, Hope House, Hope House, Yoga Place � Kris, Beatitudes at Hope House, Crown Point, Benedictions Center Kenmore � Royse. March: Hope House, Tara -Kris, Winds of Change (Medina), Hope House, Redeemer -Taj, Crown Point, Yoga Place � Kris, Beatitudes at Hope House, Saba Ana Retreat (Saadi and Kamae-Columbus). April: Hope House, Hope House, Lord's Prayer at Hope House, Crown Point, Talmadge - Holy Family, Benedictions Center � Kenmore � Royse, Yoga Place � Kris. May: Hope House, Redeemer � Taj, Beatitudes at Hope House, Crown Point, Yoga Place � Kris, Holy Family in Talmadge, Copley � Royse. June: Pappalardos' -Taj, Lord's Prayer at Hope House, Copley � Royse, Yoga Place � Kris. July: Pappalardos' Anahata and Prema, 21 Praises of Tara weekend, Pappalardos' � Taj, Yoga Place � Kris, Crown Point. August: Vermont Retreat, Beatitudes at Hope House. September: Wadsworth, Lord's Prayer at Hope House, Crown Point, Copley � Royse. October: Blessed Foundation (Medina), Hope House, Beatitudes at Hope House, Copley � Royse (Waldorf School), Niagara Falls Canada Retreat. November: Hope House, Crown Point, Lord's Prayer at Hope House, Copley Waldorf School � Royse. December: Hope House, Forest Hills Presbyterian Church retreat, Beatitudes at Hope House, Crown Point. In 2002 Tom Leonhardt published Giving Thanks With The Aramaic Jesus. The book offers 15 Euchristic Liturgies using Saadi�s work, Prayers of the Cosmos. Eight Liturgies are on the Lord�s Prayer and seven on the Beatitudes. The book was from Woven Word Press. 2003 January: First Church Akron � Dancing on the Labyrinth, Hope House, Tara at Jewel Heart in Tremont. February: Tara � all day - Jewel Heart, Hope House, Beatitudes at Hope House, Crown Point, St. Joseph Center � Day Aramaic Lord's Prayer, Copley � Royse. March: Girl Scouts, Hope House, Lord's Prayer at Hope House. April: Blessed Foundation (Medina) Lord's Prayer workshop, Crown Point, Blessed Foundation � Lord's Prayer workshop, Redeemer, Tara at Jewel Heart, Blessed Foundation � Lord's Prayer workshop. May: Hope House, Blessed Foundation � Lord's Prayer workshop, Crown Point, Redeemer. June: Hope House, Beatitudes workshop -Blessed Foundation, Unity of Medina, Beatitudes at Hope House, Lord's Prayer at Blessed Foundation, Crown Point, Beatitudes workshop� Blessed Foundation. July: Unity of Medina, Lord's Prayer at Hope House, Hope House, Crown Point. August: Hope House, Beatitudes workshop at Blessed Foundation, Unity of Medina, Beatitudes at Hope House, Redeemer, Lord's Prayer � Blessed Foundation. September: Unity of Medina, Lord's Prayer at Hope House, Hope House, Blessed Foundation � Lord's Prayer, Crown Point, Common Ground � Oberlin. October: 21 Praises of Tara with Prema and Anahata, Betitudes at Hope House, Hope House, Crown Point, Ursuline, Redeemer. November: Hope House, Crown Point, Tara with Kris Kiko-Cozy, Redeemer. December: Hope House, Beatitudes at Hope House, Yoga Place -Kris, Leaders' Event at Crown Point. 2004 January: Hope House, First Church Akron on the Labyrinth, Crown Point, Redeemer, St. Ignatius High School Chapel gathering in support of a young Jesuit arrested at School of the Armericas. February: Lord�s Prayer at Hope House, Hope House, Crown Point, Akron. March: Beatitudes at Hope House, Hope House, Crown Point - Leaders� Event, Christ the King Church - East Cleveland. April: Saadi and Kamae in Columbus, Crown Point. May: Hope House, Lord�s Prayer at Hope House, Crown Point. June: Hope House, Beatitudes at Hope House, Crown Point. July: Aramaic at Hope House, Vil:la Serena (Mayfield Heights), Crown Point. August: Lord�s Prayer at Hope House, Crown Point, Creation Spirituality Day at Hope House. September: Hope House, Peace Show (Free Stamp, downtown Cleveland), Beatitudes at Hope House, Crown Point - Leaders� Event. October: Federation of Christian Ministries Assembly keynoted by Radha Tereska Buko and assisted by Alima Jeanne Ross at Independence-Ohio, Lakewood Park - Women�s Pavillion - Edwina Gately event, Crown Point, Niagara Falls Canada Retreat. November: UUChurch in Fairlawn, Crown Point. December: Hope House, Crown Point. 2005 January: First Church Akron - Labyrinth, Path III Creation Spirituality at Hope House, Crown Point. February: Crown Point, Sara�s Circle - Taj. March: Hope House, Crown Point. April: Yoga Place -Kris, Crown Point. May: Saadi - Columbus, Crown Point. June: Hope House, Crown Point. August: Sara�s Circle - Taj, Hiroshima Rememberance - Rockefeller Park Reflection Pond, Crown Point. September: Hope House, Crown Point. October: UUChurch in Fairlawn, Crown Point. November: Sara�s Circle - Taj, Pritts� Home in Lakewood, Crown Point. December: Hope House, Sara�s Circle - Taj, Sophia Center - Closing Ritual, Crown Point. February: Sara�s Circle - Taj, Crown Point. March: Sara�s Circle - Taj, Hope House, Crown Point. April: Unity of Medina, Saadi - Columbus, Crown Point. May: West Shore UU Church, Shadybrook, Theosophical Society, Crown Point. June: Notre Dame College (Healers Through Music), Crown Point, Unity of Medina. July: Crown Point, Sara�s Circle - Taj. September: Medina, Crown Point, West Shore UU Church - Taj. October: Closer and Closer Dance Retreat - HeartSong Retreat Center - Leesville Lake (Radha and Alima), Crown Point, River�s Edge. 2007 January: First Church Akron - Labyrinth, Crown Point. February: West Shore UU -Taj, Crown Point, Hope House. March: Lord�s Prayer at the Newmans�in Akron, West Shore UU - Taj, Crown Point, Trinity Cathedral. April: West Shore UU - Taj, Saadi retreat - Columbus, Crown Point. May: Conscious Nest - Euclid, West Shore UU - Taj, Crown Point, Hope. June: Conscious Nest, West Shore UU - Taj, Lord�s Prayer at Hope House, Crown Point. July: West Shore UU - Taj, Crown Point. August: Conscious Nest, Hiroshima Remembrance - Rockefeller Park, West Shore UU - Taj, Lord�s Prayer at Hope House, Crown Point. September: Lord�s Prayer at Hope House, Crown Point, Lord�s Prayer at the Newmans� in Akron. October: Conscious Nest, West Shore UU - Taj, HeartSong Dance Retreat - Closer and Closer II with Radha assisted by Carolyn and Tom - Leesville Lake, Crown Point. 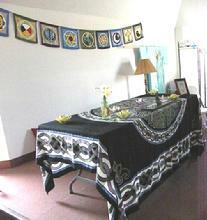 November: Conscioius Nest, Lord�s Prayer at Hope House, Pittsburgh - Friends Meeting House, Crown Point. December: West Shore UU - Taj, Hope House, Lord�s Prayer at Hope House, Crown Point. 2008 January: First Church Akron - Labyrinth, West Shore UU - Taj, Lord�s Prayer at Hope House, Crown Point. February: Lakewood Presbyterian Church - Cathy Graf, Crown Point, Hope House. March: Crown Point, Lord�s Prayer at the Newmans� - Akron. April: Lakewood Presbyterian Church - Cathy Graf, West Shore UU - Taj, Beatitudes at Hope House, Yellow Spings Day Long Retreat, Crown Point, Closer and Closer II Revisited - Day at HeartSong Retreat Center - Leesville Lake. May: Saadi Retreat in Columbus, Beatitudes at Hope House, Crown Point. June: Centering Space -Lakewood - Cathy Graf, Crown Point, Hope House. 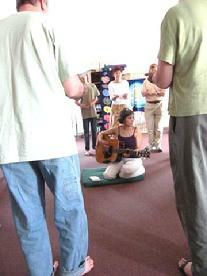 July: Centering Space - Cathy Graf, Beatitudes at Hope House, Crown Point. August: West Shore UU - Taj, Centering Space - Cathy Graf, Lakewood Park Women�s Pavillion - Sacred Space event, Visiting Nurses Association, Beatitudes as Hope House, Crown Point. September: Peace Show, Lakewood Presbyterian Church - Cathy Graf, Lord�s Prayer at the Newmans� in Akron, West Shore UU - Taj, Yellow Springs Retreat Day, Crown Point, Hope House. October: Lakewood Presbyterian Church - Cathy Graf, Lord�s Prayer at Hope House, Closer and Closer III - HeartSong Retreat Center - Radha and Alima - Leesville Lake, Crown Point. November: Beatitudes at Hope, Crown Point. During this year, 2008, Radha Tereska Buko (with a second from Saadi) appointed Carolyn and Tom as Mentor Teachers of Dances of Universal Peace. For several years now, Carolyn and Tom have Danced at weekly Sunday Eucharist of the Emmaus Community and weekly gathering of Flowing Water Sangha, both of which meet at Hope House. 2009 January: Lakewood Presbyterian Church - Cathy Graf, West Shore UU - Taj, Newmans� in Akron. West Shore UU � Taj, Crown Point. West Shore UU Church � Taj; Worthington, Ohio � Saadi "Jesus and the Sufis. September: Lakewood Presbyterian Church, - Cathy Graf; East Shore UU Church - Elizabeth; Crown Point - Carolyn and Tom; Closer and Closer IV, Radha and Alima, Sacred Arts Holistic Center.